There are many reasons to spend your time active and discover new hiking trails, especially if you're going to visit Barcelona, Spain. 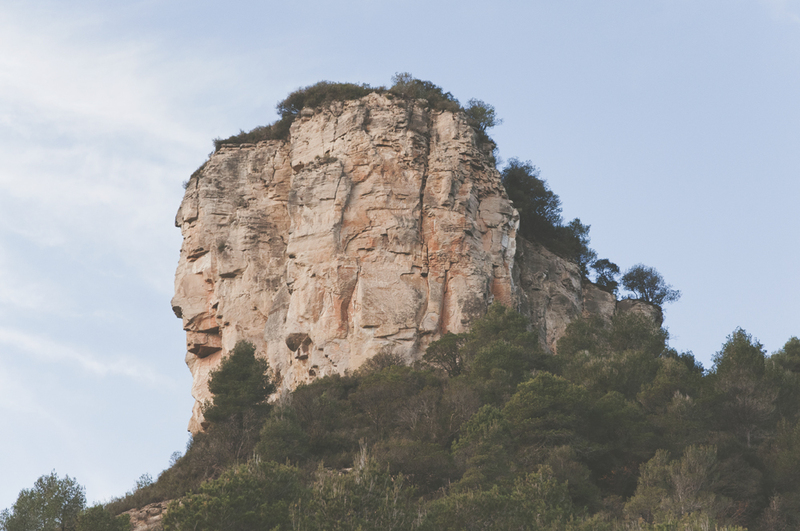 In Catalonia, there are numerous hiking trails located in mountains and natural parks. The unique vegetation, unusual landforms, phenomenal rock massifs and wild animals are one of the most important values of this area for travelers, nature and mountain lovers. In the previous post, I wrote about Serra de Collserola Natural Park. Today I want to tell you something more about the best hiking trails near Figaró, a small town in Catalonia. Figaró-Montmany is a municipality in Catalonia situated nearly 50 km outside Barcelona. The main advantage of this place is its localization between some of the most interesting natural areas in Catalonia. On the north-eastern side of Figaró begins the Montseny Natural Park. It covers the area of nearly 30,000 acres of mountains. There are small villages, historical monuments as well as many walking routes. On the southwest side of Figaró, you can visit natural reserves as Gallifa or Sant Llorenç del Munt i l'Obac. As Figaró is located in the heart of the mountain ranges, it makes this small town a perfect base to start your hike trip. Which direction is worth to choose? It depends on your preferences, a physical condition or the length of the journey. Wikiloc.com is a website when you can quickly search for the best hiking paths in a selected area. Users share their experiences related to tracks they passed or hours it took them to finish a route. You can just look for inspiration or become a member of the community and share with others your photos, maps, and opinions. There is also a mobile application that could be used during your mountain adventure to track your trail in a real time. We wandered through the area situated on the southwest side of Figaró-Montmany. One of the routes that we did came from Figaró to Cingles de Bertí and then back to Figaró. We went directly from the Figaro train station, through the Sot del Bac. Our primary goal was to reach the summit of the La Trona rock and the views were to die for (it's a bit similar to the popular Hobbit village, isn't it?). We finished our route back at the train station in Figaró. The whole trip lasted about 4 hours, and the way can be described as medium difficult. If you are planning to start your journey in Barcelona, you can choose a direct train R3, operated by Renfe. The one-way ticket costs a few euro. If you want to back to the city from the Figaró train station, I highly recommend you to buy a return ticket at the beginning of your journey. Unfortunately, there is no place in Figaró where you can buy a new one. What are the best hiking trials you can recommend near Barcelona, Spain?